Data journalism is more accessible than most people realise. At the news:rewired conference, panelists from the Financial Times, Media Wales, the British Medical Journal (BMJ) and the Cabinet Office’s data.gov.uk gave their advice on how to tell stories using data, and how to avoid some of the most common pitfalls. At the Financial Times, there are no designated ‘data journalists’. Instead there are journalists, designers, and developers who work together as a team producing a range of output from reports to info-graphics, the news:rewired conference, today in London, was told during a session on deriving stories from data. We think data journalism is everybody’s job. Essentially, she says, data journalism is simply problem solving: What question do you want answered? Come up with a hypothesis you want to prove or a question you want answered, suggests Deborah Cohen, investigations editor of the British Medical Journal. Cohen worked with BBC Panorama to investigate the health benefit claims made by soft drinks manufacturers. Taking data from ten health and sports magazines to see what claims were being made her team discovered that many were not medically backed. What was crucial in the investigation, she said, was that data wasn’t cherry picked; enabling the BMJ to build a powerful argument against accusations of bias. You have to do your research first and you have to ask for the correct data. You can’t go fishing for anything. The Government’s data portal, data.gov.uk, is a goldmine of available data, according to its head, with 9,327 data sets and over 1,000 maps. Antonio Acuña, head of data.gov.uk for the Cabinet Office, told the news:rewired conference today in London that his site offers tags, themes, key word searches, file searches, search notifications and map layering. We want you to be able to find the right amount of data in the least amount of time. Journalists and the public can see the raw data behind the policies, Acuña said, and he is enthusiastic about the mutual benefits of such a huge open data store. It’s available for the public..But they might discover new things about the workings of the country that we didn’t know. We want to facilitate discovery. But a huge data source isn’t the only thing that is important to journalists. Claire Miller, a data journalist at Media Wales, stressed the importance of knowing what data is about to be released and how to get hold of it. Census data is being released gradually and the Office for National Statistics (ONS) data hub is a really good starting point. A straightforward Freedom of Information request, she said, can also yield useful data. Clinical and medical data is available from the regulators under FOI although, according to Cohen, companies make information public that doesn’t really represent the data fairly. The BMJ have now launched an open data campaign for medical organisations to open up their data banks to counter this, she added. Microsoft Excel, according to Cadman, is the ‘gateway drug’ to data. Excel alone can be used to tell data stories using tools within it such as filtering and pivot tables. Other systems that can be of use, Cadman said, are My SQL, which can join databases together; QGIS, an open source geographical mapping system; Pivot Tracker, project management software which allows you to record bugs, ideas, problems, tasks, chores and NICAR, the National Institute for Computer Assisted Reporting. Media Wales also uses Excel and Miller recommends Google Fusion Tables, and shpscape.com, a programme that runs shape files (for data maps) through Fusion Tables. These tools will enable you to ‘visualise’ your data, whether it be a map, graph, interactive or table. 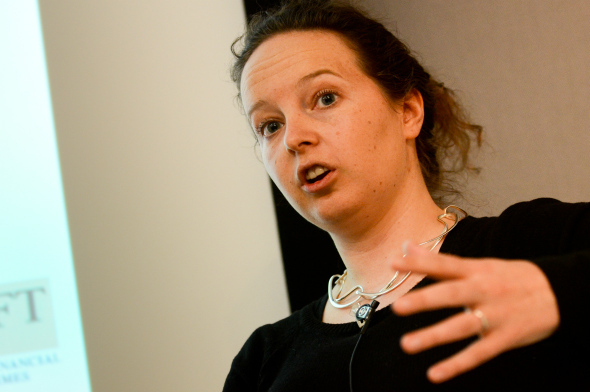 Video and presentations: Data-driven journalism at news:rewired.